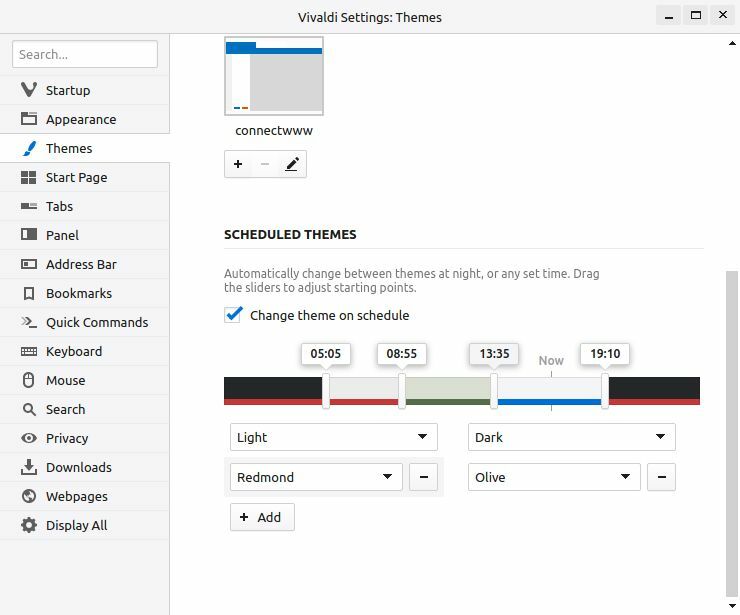 Vivaldi browser stable version 1.4 ships with the brand new theme customization option called vivaldi themes Scheduling. This new feature can be useful for many different things, one like automatically switch to a darker theme at night and light theme in day. To Schedule themes in Vivaldi, Update your vivaldi browser to the latest stable version. that is vivaldi 1.4 and later. Click the vivaldi menu and go to Tools->Settings. It will open the settings window. Then select the Themes option in the settings window. 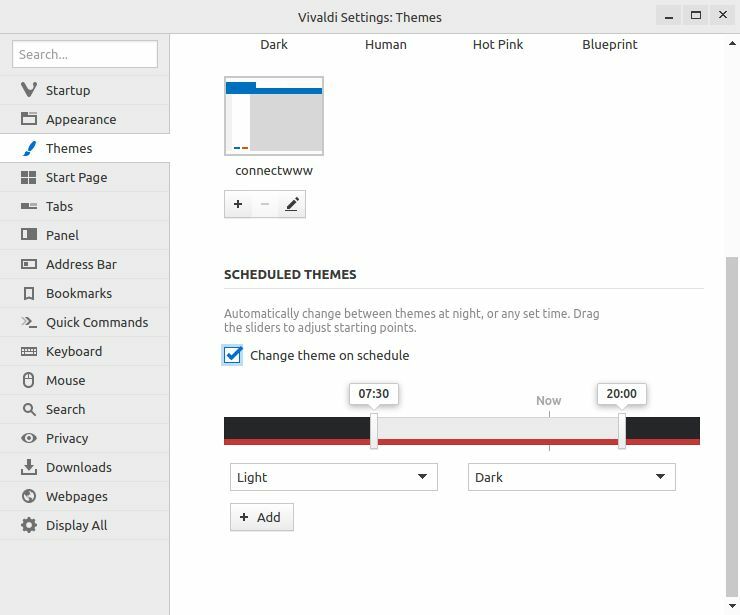 Under the scheduled themes section, enable the Change theme on schedule option. Now select your themes from two default options. You can change the time by moving the slider left and right. Here your can also add additional theme time slot by clicking the Add button. The timeline visualization of theme scheduling helps explain when the changes will take place.